German publishing house Axel Springer has set its sights on Silicon Valley – in January 2014 it will set up a representative office in Palo Alto, the Berlin-headquartered corporation announced. The aim is to explore investment opportunities in strategically relevant startups and early-stage companies in the US. Anton Waitz, former assistant to Axel Springer CEO Mathias Döpfner, will take on the role of Managing Director in California. He’s tasked with building up Axel Springer’s network there and with identifying “relevant business models and technologies for Axel Springer”. He’ll also take care of the company’s joint venture with the Plug & Play Tech Center. He’s on a fairly strict budget for potential investments though – Handelsblatt writes that the corporation isn’t prepared to spend more than a single-digit million euro amount per investment. Since mid-2012, Springer has sent some of its managers to Palo Alto, allowing them to stay up to six months to study the startup scene and build up their contacts. The first and most prominent visitor was media figure Kai Diekmann, the Editor-in-Chief of Bild. Springer changed its legal form from a German to a European corporation (SE). In the future the company will be organised in a holding structure, in which different business areas will work as individual units. 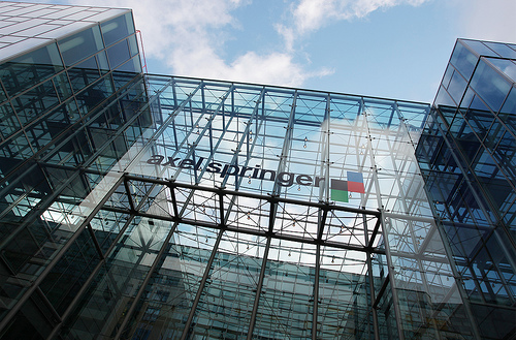 With its acquisition of TV news channel N24 and planned integration of the channel into Die Welt, Springer aims to strengthen its multimedia offerings online. Six months after introducing a paywall on the Bild website over 150,000 people have signed up for a digital subscription. It’s a comparably good result, showing that it is possible to earn money online with editorial content.